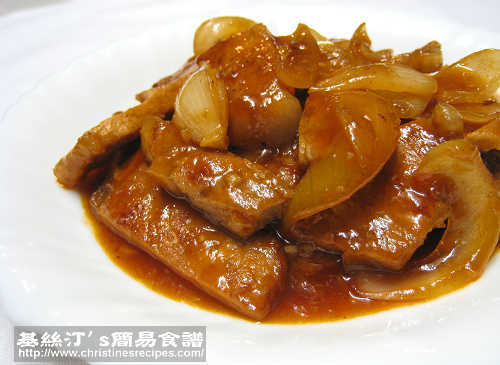 大家一定曉得一道名菜『京都肉排』，本來是用肉排 spareribs（或叫排骨）. 今次基絲汀要改用豬扒 (pork chops). 3. 那個豬月展、牛骨和冬瓜的英文是什麼? 很想用來煮湯但是到超級市場卻不知道那個才是..噢, 還有排骨, 應該又是什麼呢? Great to know your aussie hubby liked this recipe. Spareribs are incredible for making this dish. Can I substitue white vinegar for fresh lemon juice? Yes, you can. Adjust to your taste.